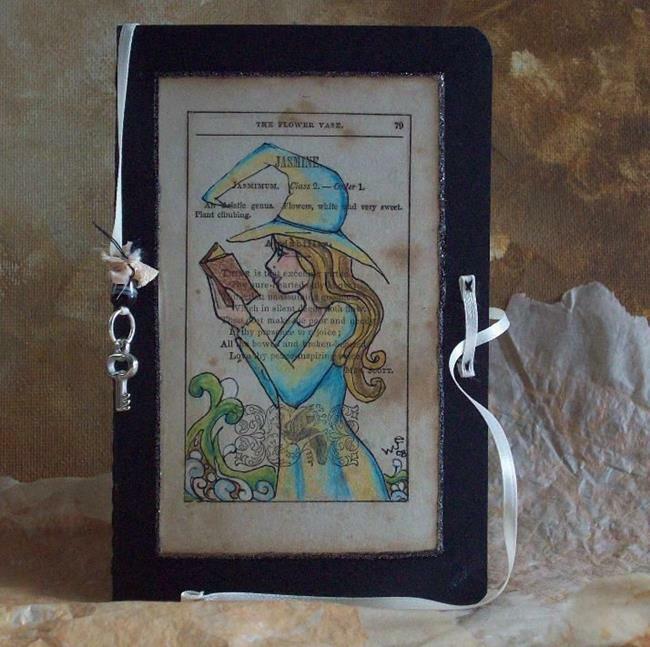 This is a very special blank journal~ it has an original vintage book page illustration of a witch on the cover! This is an original moleskine journal (in the cahiers style) measuring 3.5" x 5.5". For anyone unfamiliar with a moleskine, they are just wonderful little books. I use mine for visual journaling. Acid free, cream colored paper~ 64 pages, unlined. The last 16 pages are detachable. Stiched binding. Inner pocket on back cover. 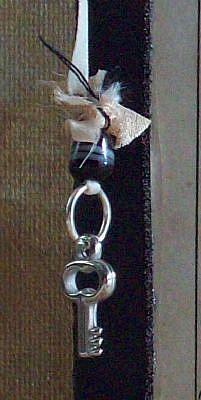 I have added a ribbon closure in cream, as well as a ribbon placeholder with a small skeleton key charm and assorted fibers for that extra witchiness. 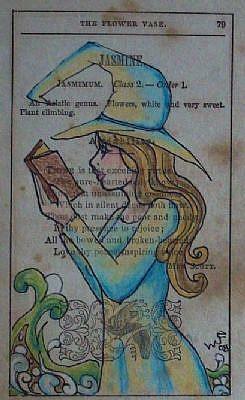 The art is an original witch illustration done in archival inks and oil pencils on a vintage book page. It is adhered and sealed with acid free sealant. A thin black glitter border outlines the image. The original is available here in my etsy store!